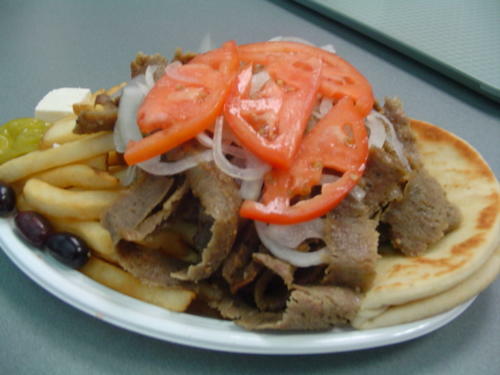 We don't need another gyro. Salmon sandwich, pickle, and oj. I had blueberry pancakes for lunch. I had two slices of bbq tri tip pizza. Turkey melt from the deli a few miles away. A questionable joint, but the sandwiches rule. Meh. It was covered in cheese and served on a hard-roll. How bad could it be?